Sorrento is a stunning old town on the west coast of Italy, set on beautiful cliffs creating a wonderful setting for a luxury holiday. Warm climates and a fabulous selection of luxury hotels help to contribute to this, as well as the gorgeous little souvenir shops selling beautiful authentic Italian crafts. Sorrento’s historical heritage seeps through the atmosphere and architecture in the form of cathedrals and churches, plus other quaint little buildings. Sorrento also provides a great base from which to explore other famous parts of Italy, such as Pompeii and Naples due to its handy location. Luxury hotels in this town provide unquestionably excellent facilities and design, featuring a high standard of luxury accommodation. 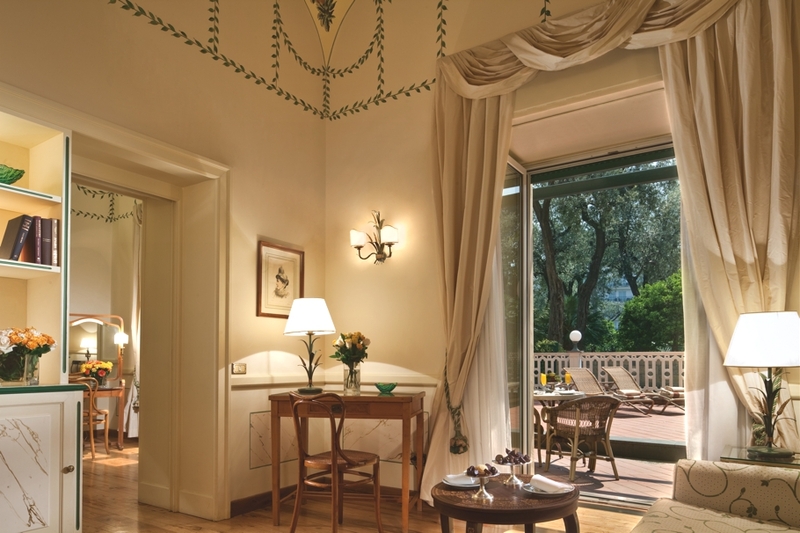 Just an hour’s drive from Naples this gorgeous grande dame is set on the cliffs of the Amalfi coast with beautiful rooms, gardens alive with orange and lemon trees, unique Italian family charm, exquisite Neapolitan food, wine and breathtaking views over the bay of Naples and Vesuvius.